On an episode of Pawn Stars, which airs on the History Channel for some reason, the starring pawn proprietors got a chance to check out some amazing pieces from the 1978 Superman film. But they weren’t all that impressed. The clip, recently posted on YouTube from the sixth episode of the show’s 14th (14th?!) 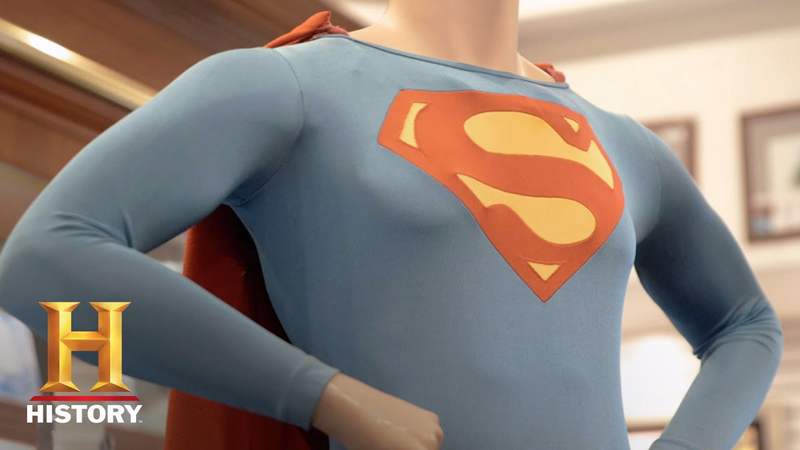 season features a man trying to sell an original Superman costume worn by Christopher Reeve on the set of the first Superman film. Alongside it is a green crystal that appears to be one of the props used as the crystal that built the Fortress of Solitude in that film (though wasn’t that white? it certainly doesn’t look like Luthor’s kryptonite. Commenters, weigh in!). Despite being delighted by an up-close view of a neat piece of Hollywood history, the eponymous pawn stars weren’t willing to part the full price for it. It’s a little frustrating, honestly, seeing them lowball what is so clearly a rad piece of movie history. Still, the video is worth watching for the trivia provided by the Hollywood memorabilia expert they bring in, and for a chance to get a peek at Reeve’s costume off the silver screen. The video is below.